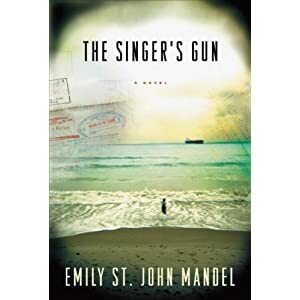 The wonderful Emily St. John Mandel, who charmed many thousands of Blurb readers with her post about 5 Questions she'd prefer never to hear again at a bookstore event has won an award for her novel Singer's Gun! During last week's BEA frenzy, the Indie Booksellers Choice Awards were granted at an event held at the always hip Housing Works Bookstore. The awards were co-sponsored by indie publisher Melville House and by the awesome (and awesomely titled) Shelf Awareness.